Buy Who's Afraid of the Big Bad Bogey? Ugh! 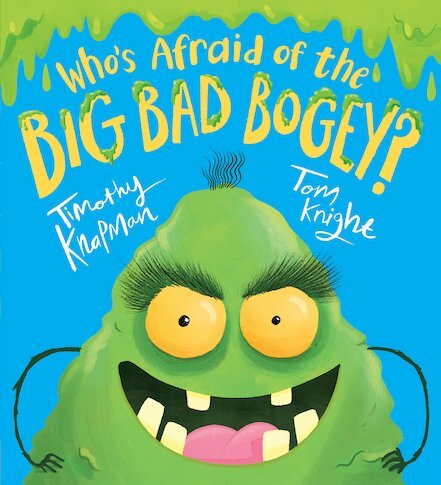 A massive slimy green bogey is never a welcome sight, but the Big Bad Bogey breaks ALL the rules of politeness. This icky green, mean monster is popping up in your favourite fairy tales – and he doesn’t care whose story he ruins! He crashes through Little Red Riding Hood’s house. He oozes into Goldilock’s porridge. (So gross.) He even smashes Cinderella’s carriage! Can ANYONE stop him? This brilliantly yucky booger is going to make you laugh like crazy – but we’re warning you! Don’t go near this book without your tissues close by!